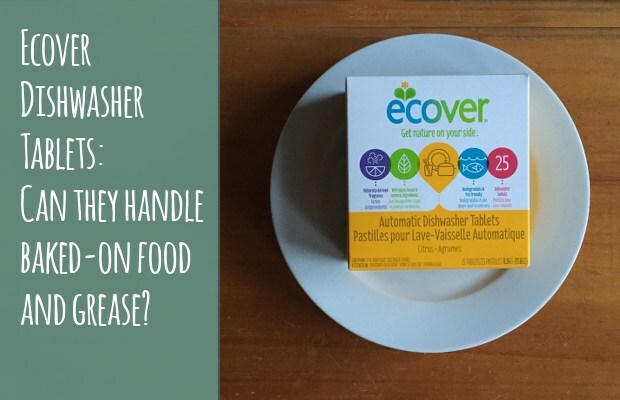 This is not my first time writing about Ecover Dishwasher tablets – they were actually listed as one of my top 10 green and natural cleaners for the kitchen in a post that I wrote a couple of years ago. 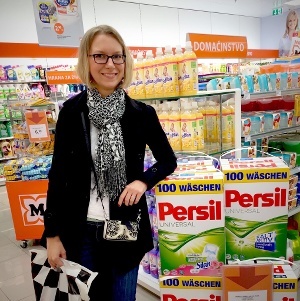 In fact, they were the very first item on that list – that’s how much I like them! But since not everyone who has recently started following my blog has gone that far back and read that entry, I thought they could use their own dedicated blog post. Have I mentioned that I really, really like these little guys? Now, let me start off by saying that the kitchen is one area of the house where I choose to only use “green” cleaners. We do a lot of cooking and eating at home, so it’s imperative for me that everything that comes into contact with food be safe: dishes, counters, the sink and pretty much every other surface in the kitchen. Whether we like it or not, cleaning supplies will leave some amount of residue behind, and if you cook your own food (or eat out of your own dishes), that residue is eventually going to come into contact with food and get ingested. So I would encourage everyone to “go green” in the kitchen, especially when there are so many great options available that aren’t much more expensive than conventional cleaning supplies and are equally effective.